What turns a house into a home? For many, it’s the personal touches—decorative finishes, family treasures, travel souvenirs, unique art—that brings a homey feeling to a space. 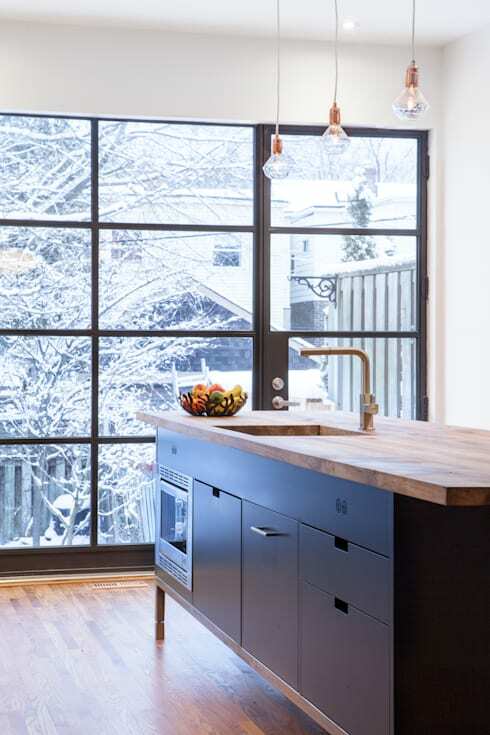 Structural elements like walls and floors are here to stay: it’s the little details that work their home-making magic by infusing personality and character into your interior space. If you’re looking for easy ways to round out your home decor, you’ll find it here, in this compilation of simple decorative finishes from the talented interior designers of the homify community. Okay, so it’s not a little 10-minute fix—but the result of amping up your walls won’t have a little impact, either! Most wall panelling can be installed without professional help, adding a great deal of depth and complexity to your space, and working to create a distinguished style theme or era throughout your interiors. For wallpaper or a mural, you don’t have to cover the whole house—even doing up a single statement wall in your living room will make a world of difference affecting the room’s atmosphere and appeal. Deliberate minimalism, or uncurbed laziness? While you can decide on your own time, one thing’s for certain: bare decorations and materials have never been more desirable in home decor. Exposed piping, bare bulbs, unfinished or untreated wood—all of these have an air of effortlessness and ease, adding a laissez-faire feeling to your space. Stuck for ideas? 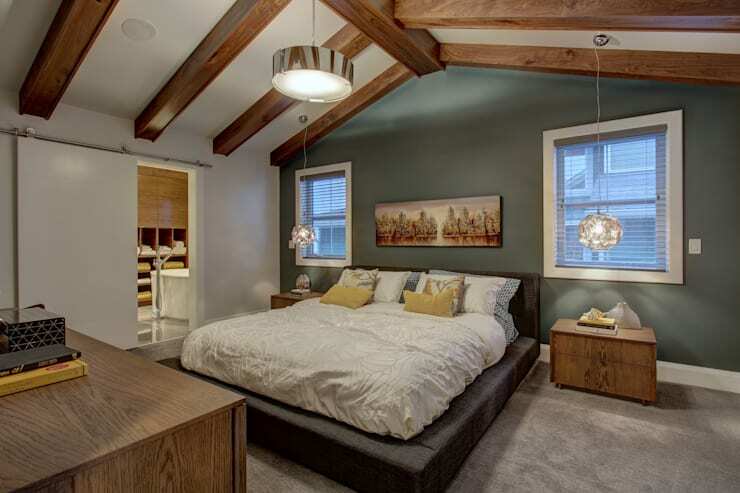 Look up: your ceiling is more often than not a blank slate, offering a lovely canvas that will make even the simplest addition the highlight of the room. 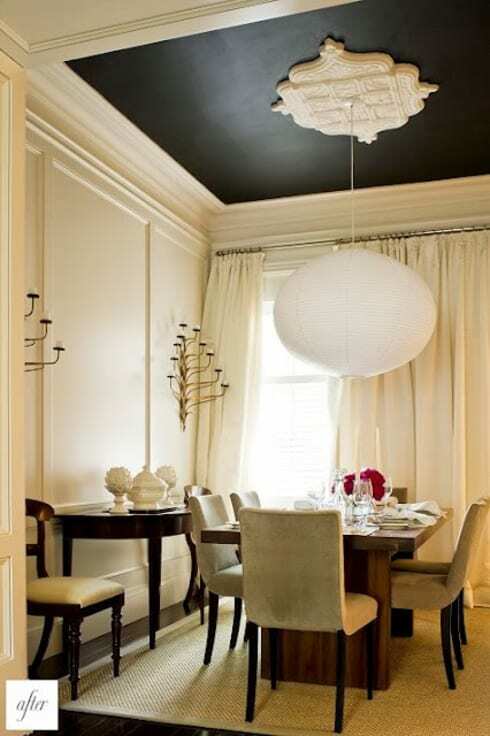 Take this dramatic black ceiling with white molding as proof! 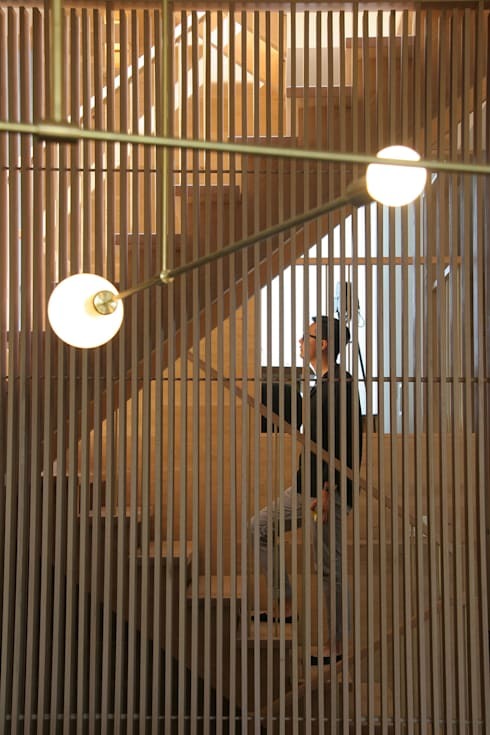 It’s hard to find a home with too much light—it seems that interior spaces are constantly begging for more of it. Choose wisely, and pick something that speaks to your personal sense of style, as a hanging lantern makes a lovely stand-alone statement piece, requiring little more than an electrical wire to become the glowing showpiece of the room. Dress up your walls with a bookshelf, while serving the practical purpose of increasing your storage space. Enjoy the newfound space for displaying the interesting and unique items you’ve collected over the years, which will help your space to tell an authentic story about you and your pursuits. Many partition designs are both adjustable and mobile, becoming a highly utilitarian piece of furniture that easily transforms to suit a dynamic lifestyle. This is a simple way to add a sense of intrigue or privacy while maintaining the ease of open communication and fluid air circulation. Comment on these DIY room decor ideas below!